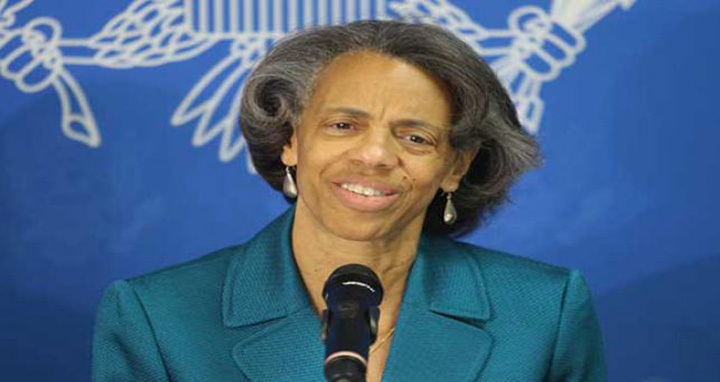 Dhaka, 17 September, Abnews: US Ambassador to Bangladesh Marcia Bernicat on Monday said a free, fair and inclusive election is important for a democracy, especially for the one which is on track to become a middle-income country. ‘Together, we can contribute to a peaceful and prosperous Bangladesh,’ she said, reports the UNB. The US Ambassador said political parties must accept their rivals as legitimate participations in the political process and as potential leaders of the next government, even when they disagree on issues or policies. ‘It’s essential that Bangladeshis urge nonviolence by all actors at every stage of the democratic process, before, during, and after the elections,’ Bernicat said. She said violence serves only those who wish to undermine the democratic processes and the interest of Bangladesh and its citizens. Democracy International brought together 400 Awami League and BNP leaders to inaugurate `Shantite Bijoy’ Campaign’, a national campaign ahead of the next national election, seeking peace centring the polls. This campaign engages and raises awareness among registered political parties of Bangladesh and candidates in the upcoming national elections in favour of peaceful elections and tolerant politics. Prime Minister’s Political Affairs Adviser HT Imam, senior BNP leader Dr Moyeen Khan, US Ambassador to Bangladesh Marcia Bernicat and British High Commissioner to Bangladesh Alison Blake along with senior political leaders attended the event. The programme began with singing the national anthem. A documentary was also screened on the occasion. Speakers expressed the hope for peaceful and participatory polls.